WASHINGTON — Defense Secretary Jim Mattis said on Wednesday that peace talks between Yemen’s warring parties are likely to take place in early December in Sweden. Western countries are pressing for a ceasefire and renewed peace efforts to end the more than three-year long conflict, which is seen as a proxy war between Saudi Arabia and Yemen. A Saudi-led military coalition intervened in Yemen in 2015, backing Yemeni President Abd-Rabbu Mansour Hadi’s forces fighting against the Houthi Yemeni group. The Houthis now rule most of Yemen’s population, while the exiled government controls a section of the south. 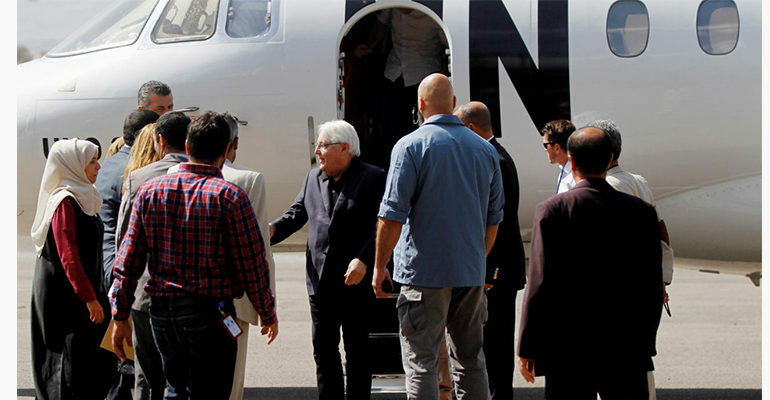 U.N. Yemen envoy Martin Griffiths told the Security Council on Friday that Yemen’s parties have given “firm assurances” they are committed to attending peace talks he hopes to convene in Sweden before the end of the year. “It looks like very, very early in December, up in Sweden, we’ll see both the Houthi rebel side and the U.N recognized government,” Mattis told reporters. Mattis also said Saudi Arabia and the United Arab Emirates had ceased offensive operations around Yemen’s key port city of Hodeidah and despite some fighting, the front lines had not changed in at least 72 hours. Griffiths was in Yemen’s capital Sanaa on Wednesday and was due to visit Hodeidah on Thursday, United Nations spokesman Stephane Dujarric said. Hodeidah port handles 80 percent of the country’s food imports and aid supplies. Yemen’s economy is in crisis and three-quarters of its population, or 22 million people, require aid. Some 8.4 million are on the brink of starvation, though the U.N. has warned that will likely rise to 14 million. U.N. food chief David Beasley visited Hodeidah last week and told reporters in New York on Friday the United Nations was “prepared, if necessary, if all parties desire” to take over the operational capacity of the port.